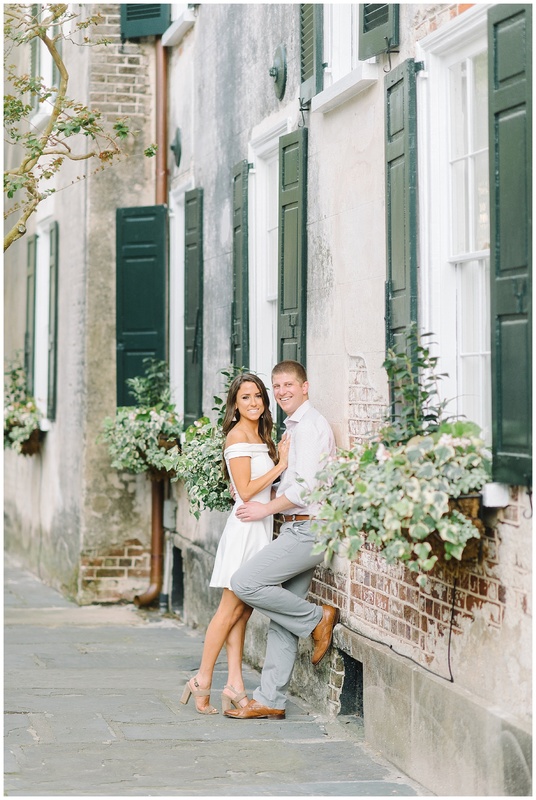 “Matt and I first met in fourth grade at our school bus stop,” says Megan, who was raised in Connecticut. 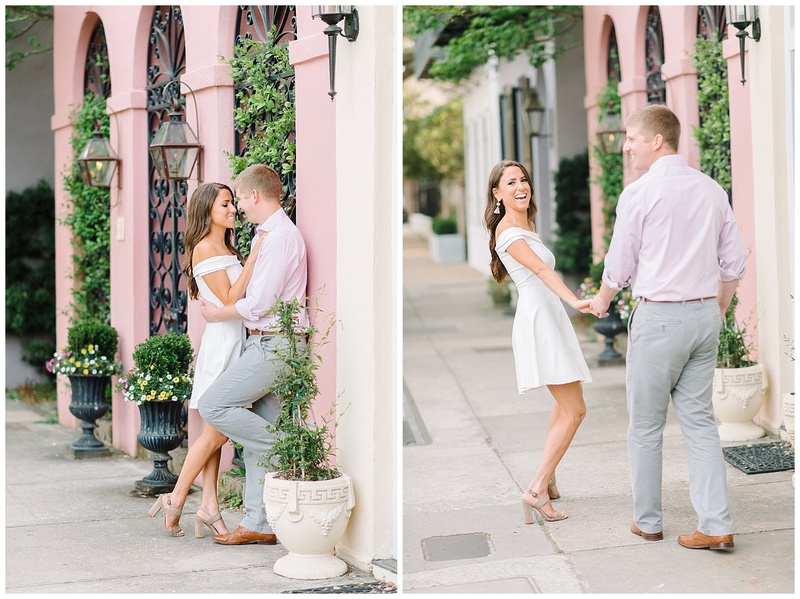 (Lucky for all of us—trust us—we have a snapshot of that moment; just scroll to the bottom of the post to see it.) 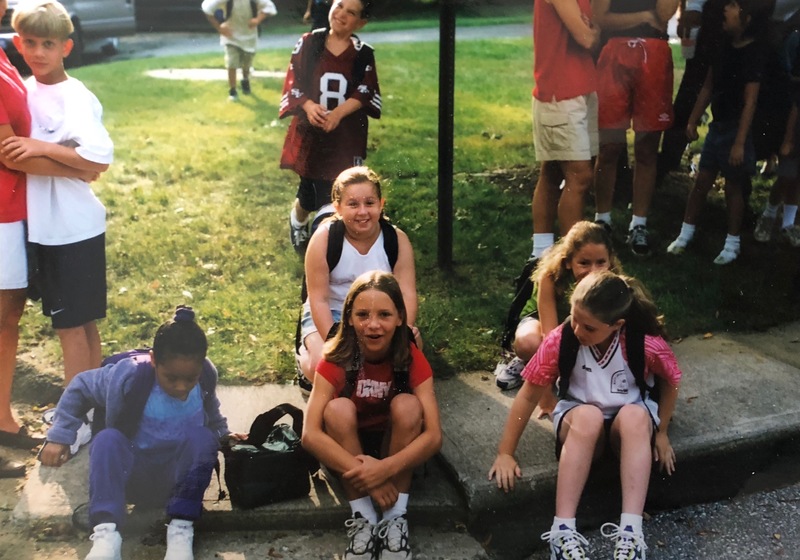 “He’s the blondie on the left holding onto his mom for dear life,” says Megan, “and I’m the weirdo hiding behind his sister.”) Still, it wasn’t until they were seniors in high school that the classmates clued in that they might be more than friends. 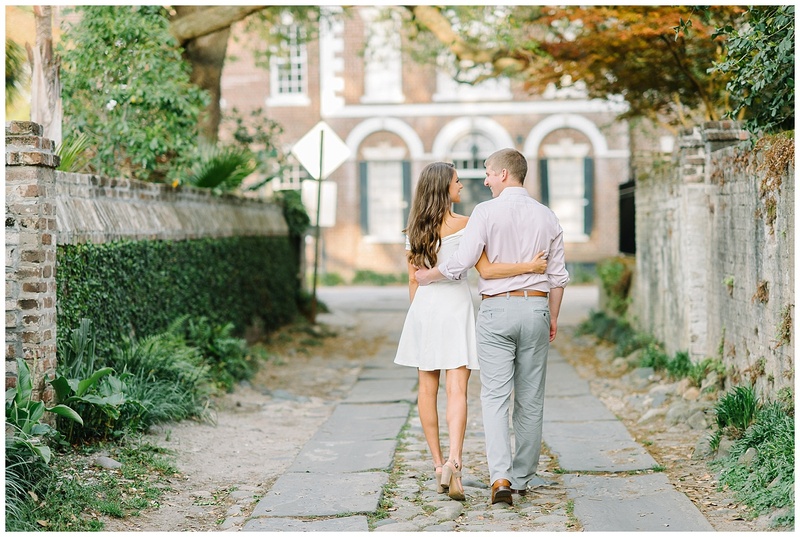 They dated that year, then off and on throughout college (he at The University of South Carolina and she at Elon University). 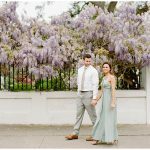 Then, during one romantic weekend together in Asheville, North Carolina, Matt proposed to Megan in the gardens at the Biltmore Estate. 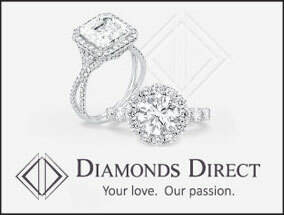 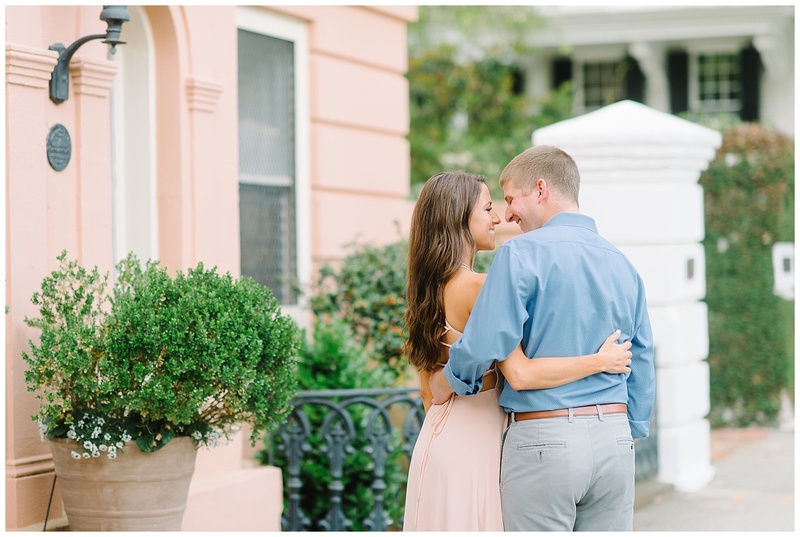 “He asked me the easiest question I’ve ever answered,” she tells us. 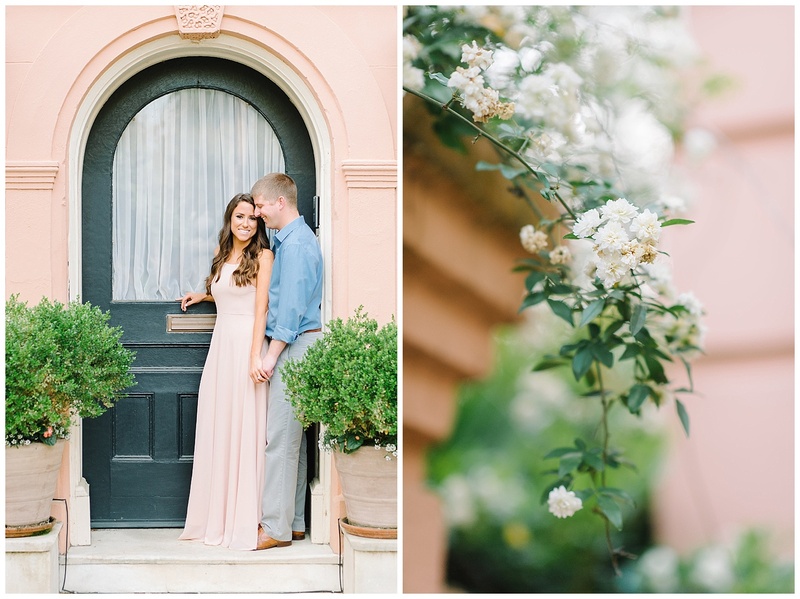 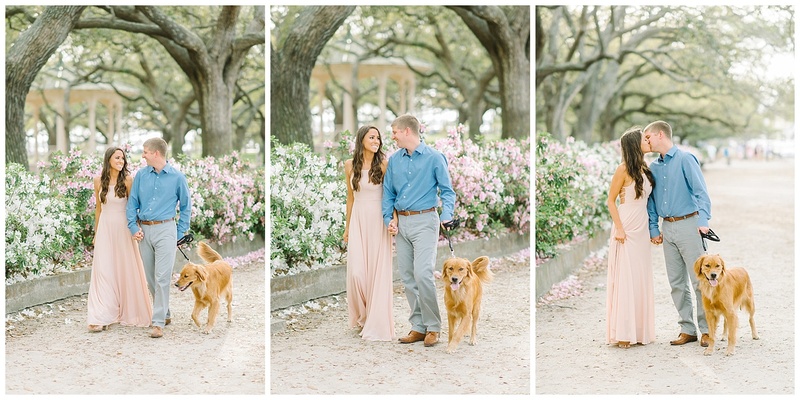 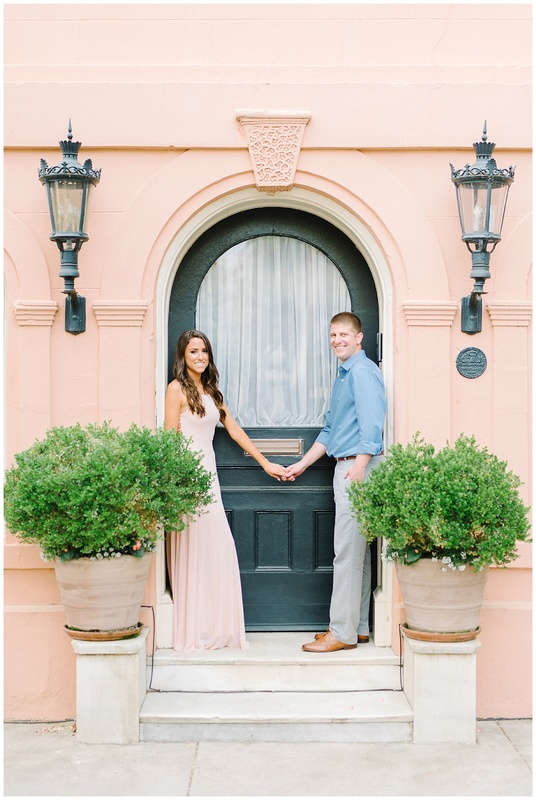 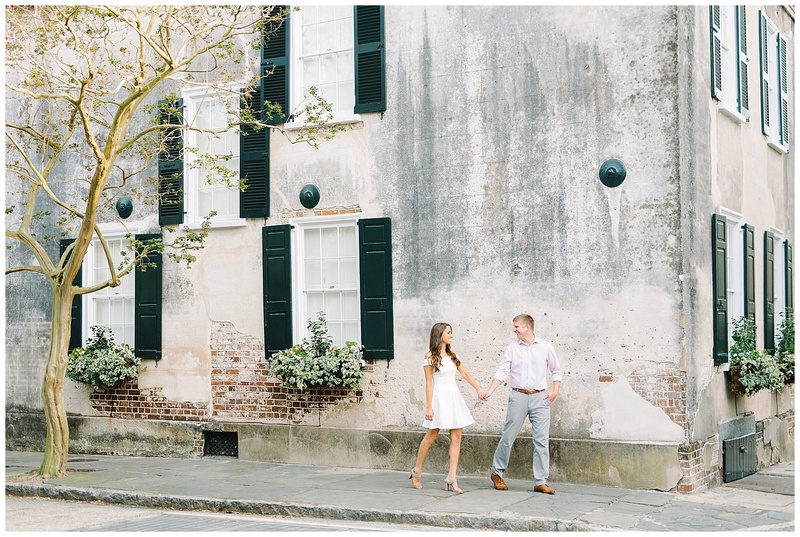 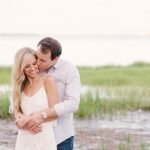 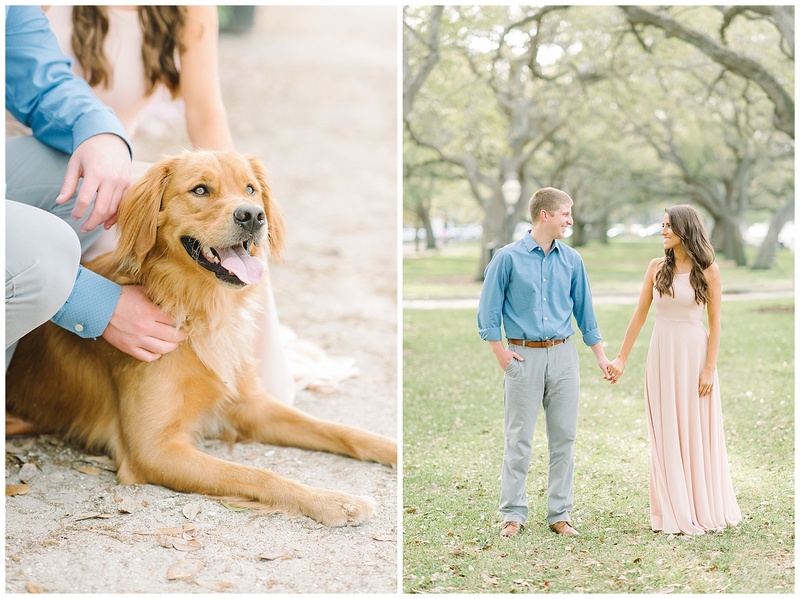 Soon after the big “Yes!”, the South-loving pair ventured down to Charleston for this engagement session with Holy City shutterbugs Aaron & Jillian. 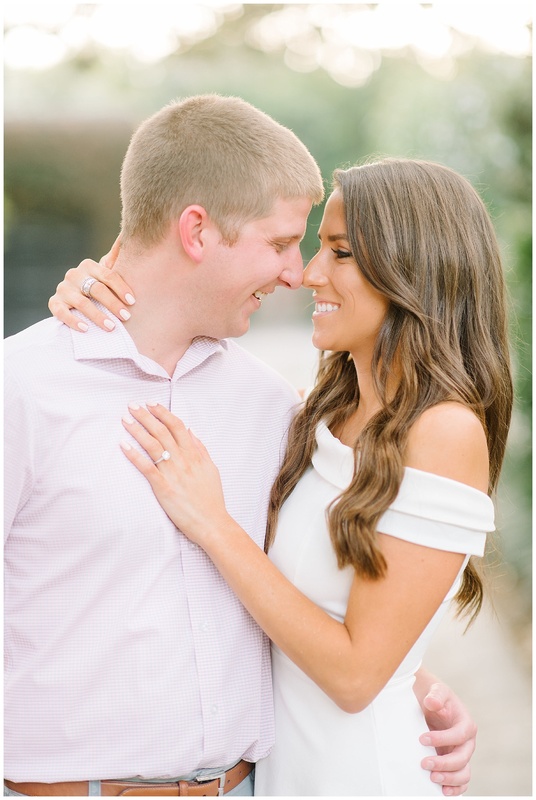 As far as their wedding next year? 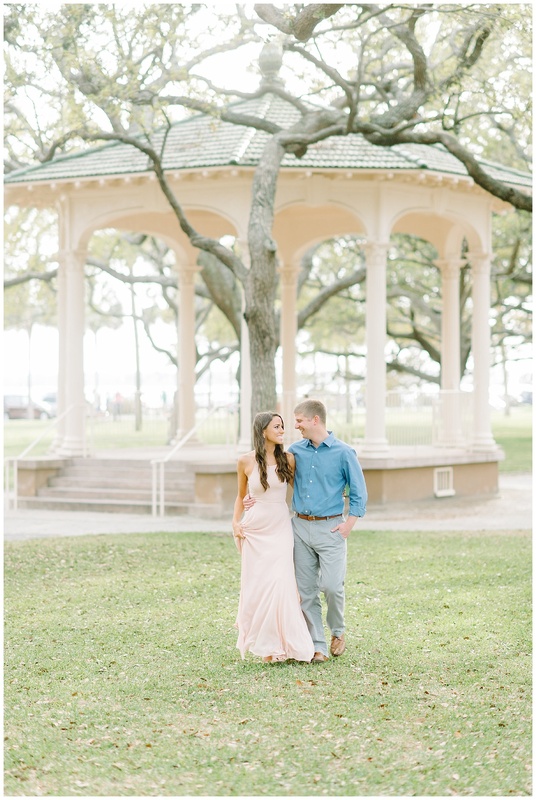 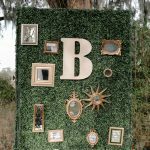 The couple plans on tying the knot at Lowndes Grove Plantation. 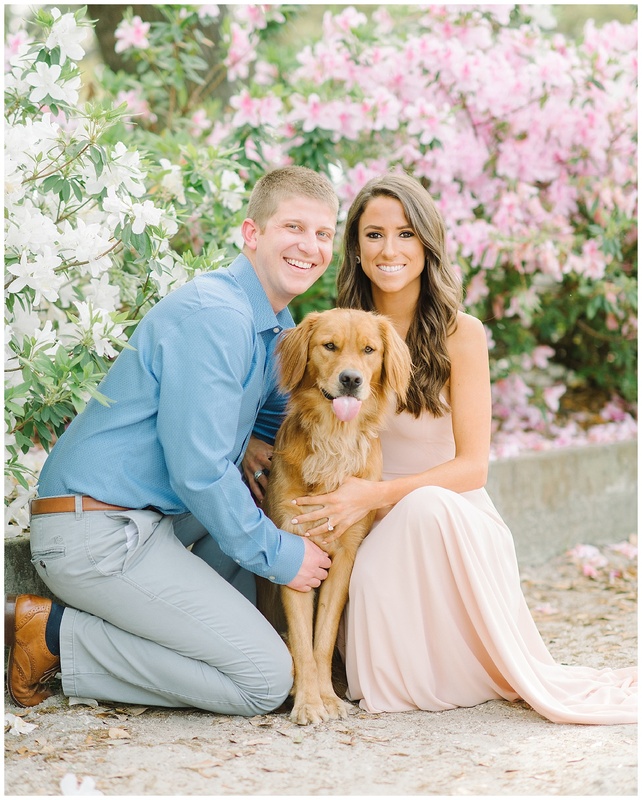 “Great music and some good rosé are my musts,” Megan says, “but as long as Matthew is at the end of that aisle and we are surrounded by our family and friends (and our dog Mac, the ring bearer), I will be blissful.” Amen to that, M&M! 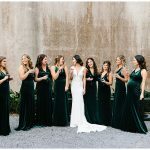 “He’s the blondie on the left holding onto his mom for dear life and I’m the weirdo hiding behind his sister (my bridesmaid and close friend),” says Megan.